Let's get you on your way to setting up your Aura account! While on our home page (https://goaura.com/), click the green button in the top right of the page labeled Create Account. Next, you'll be taken to our sign up form and asked for your Name, Email, and desired Password. After you've entered your new account information, click, Sign Up. Now that you have your account, we'll need to connect your Seller Central account with Aura to begin pulling in listing data. 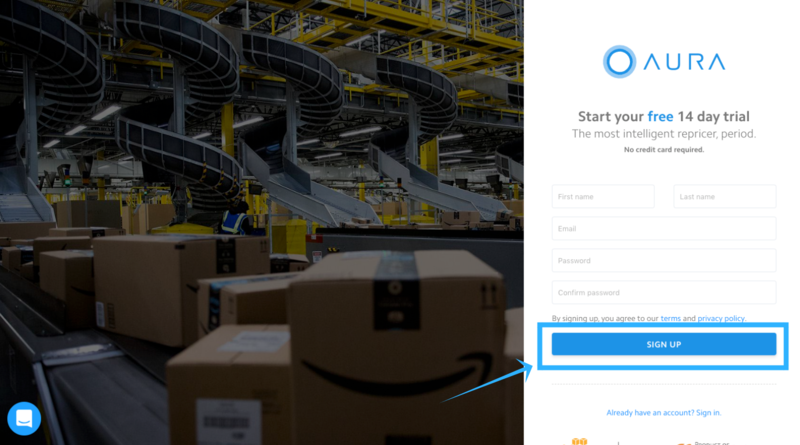 Learn how to connect your Amazon Marketplace to Aura.